For renewable energy supporters, this was supposed to be a year of statehouse setbacks. 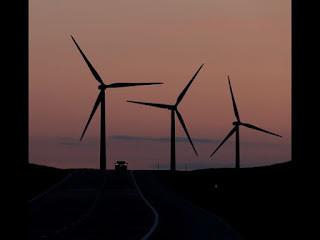 "States Cooling to Renewable Energy" read the headline of a March Wall Street Journal story reporting that more than a dozen legislatures were weighing proposals to roll back or abolish mandates that utilities purchase a certain amount of renewable energy. Mandates are in place in 29 states and Washington, D.C. Opponents of the renewable energy requirements, which are credited with spurring wind and solar investment across much of the country, said the policies violate free-market principles and ramp up electricity costs. After the 2012 elections installed large Republican majorities in a number of states, the conservative American Legislative Exchange Council (ALEC) joined ranks with prominent libertarian groups in a nationwide anti-mandate blitz. Wind and solar advocates feared the worst. So much for predictions. With most sessions now wrapped up or waning, renewable energy backers now brim with triumph and relief as they eye a legislative scorecard tilting their way. "ALEC's attempt to squash clean energy standards in the states has failed," said Gabe Elsner, director of the Washington D.C.-based Checks and Balances Project, a self-described government and industry watchdog group. "I thought they would have had more success." No state this year repealed its renewable energy requirement, lowered its percentage mandate or extended utilities' deadlines for meeting it. Meanwhile, Colorado doubled its mandate for rural electric cooperatives, requiring 20 percent of their energy sales by 2020 to come from renewable resources. In Minnesota major utilities now must generate 1.5 percent of their power from solar – on top of the 25 percent by 2025 for renewables at large. Not everyone was surprised by the results. Chelsea Barnes, an analyst at Keyes, Fox & Wiedman, a law firm that tracks energy legislation for clients, said the push to weaken incentives is not new, nor does it generally succeed. "We started seeing more of these stories on this coordinated attack on renewables," Barnes said. But the hullabaloo was "more of a media issue than an actual industry issue." Though statehouses have seen an uptick in such legislation — likely boosted by ALEC and its allies — this year's change was far from drastic. Through late April, lawmakers in 16 states had introduced 31 bills aiming to weaken renewable energy standards, according to the law firm's analysis. In 2011 and 2012, states considered a total of 50 major weakening bills. Just five of those bills succeeded, and none dramatically changed the policy. At the same time, states mulled a similar number of bills looking to strengthen renewable energy standards. Through April, 30 bills had been introduced in 18 states. ALEC did not respond to interview requests. But The Heartland Institute, a partner in this year's legislative push, said it does not consider 2013 a setback. "We're just kind of hoping we can get legislation introduced," said Taylor Smith, an analyst at the institute. "Our goal really is to get the conversation going." Enacting energy standards requires cooperation from a broad array of interest groups — environmentalists, utilities, manufacturers, farmers and others. Once they are in place, those stakeholders are reluctant to scrap them. The incentives also create a new lobby ready to play defense, including solar or wind installers, manufacturers and other small business or landowners that benefit. What's more, powerful utilities rarely push for repeals or the watering down mandates — even if they opposed the initial policy. Many would rather not change course after shifting resources toward compliance. That mindset, said Smith, is one of his group's biggest obstacles. Jim Rogers, the CEO of Duke Energy, the nation's largest electric utility, for instance, publicly opposed bills introduced in the Republican-dominated North Carolina legislature that would eventually repeal the requirement that utilities generate 12.5 percent renewable energy by 2021. "Personally I support the renewable energy portfolio standard," he said last month, according to the Charlotte Business Journal. He said the company would continue to back the law as long as it keeps its cap on costs that utilities can pass on to consumers, a mechanism also attached to other states' policies. Renewable energy proponents also can point to a benefit that is far more likely than climate change to draw a conservative legislator's attention: jobs. "The business community really spoke loudly," said Dorothy Barnett, executive director of the Kansas-based Climate and Energy Project, which fought against legislation that would have eliminated a 20 percent by 2020 standard and pushed back deadlines for utilities to meet earlier requirements of 10 percent and 15 percent. The Kansas wind industry has grown rapidly since the state launched its portfolio standard in 2009. Last year, it accounted for more 11.4 percent of all electricity churned out in the Sunflower State. 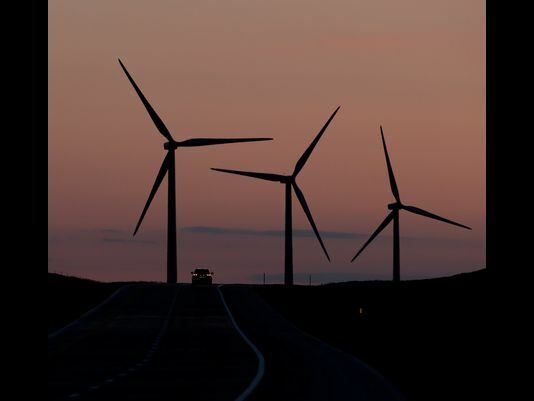 In 2011, the industry accounted for between 2,000 and 3,000 direct and indirect jobs in the state, generating $7.5 million in property taxes and land lease payments by wind project owners, according to the American Wind Energy Industry. And its turbine manufacturing industry is growing. New York, whose 30 percent standard is more ambitious, projects the policy will have generated 1,764 direct jobs in the short term and 600 long-term jobs by its 2015 deadline. The program "has yielded, and is expected to yield, significant economic benefits to the State of New York and its associated locales," the state's energy authority wrote in an assessment last December. Opponents counter that many renewable energy jobs—jobs erecting wind turbines, for example—are short-lived or eliminate existing jobs. But the potential economic boon has caught the attention of some unlikely lawmakers. Consider Rep. Scott Schwab, a Kansas Republican. He doesn't care much for energy mandates — largely due to his free-market principles, he says. Nor does he buy into the scientific consensus that carbon-spewing power plants are fueling rising seas and other extreme weather. "It's not changing the environment," Schwab said of the state's mandate. What Kansas needs, he said, is the new coal plant, promised long ago but held up in litigation. But lawmakers pushing the rollback were left scratching their heads when Schwab joined others in thwarting the measure in the House, where it was tabled. "It has created a massive industry in our state," Schwab said of the portfolio standard. "It's a lot of jobs." In weighing his vote, Schwab said he found it curious that few voices supporting the legislation came from Kansans. Most of the arguments, he said, came from national groups, whose presence he resented and whose arguments — that the mandate had sent ratepayers' bills soaring — he didn't buy. The Kansas Corporation Commission says the policy has increased electricity bills by less than 2 percent. Rate impacts vary from state to state but usually stayed below 5 percent in recent years, according to a recent presentation by Galen Barbose of the Lawrence Berkeley National Laboratory. In 2010 ratepayers in at least three states — Illinois, Maryland and New York — felt impacts under 1 percent. The impact of Arizona's policy, at nearly 4 percent, was by far the highest. But critics argue those analyses don't typically include large costs of upgrading the grid to accommodate wind and solar. "At the end of the day, the 2 percent is more like 10 percent," said Kansas Rep. Dennis Hedke, a leading opponent of the mandate. He called the rollback effort "a battle worth fighting."